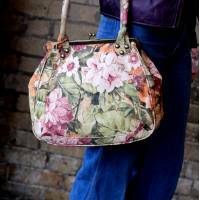 Superclutch Autumn Floral clutch and clip bag width 27.5 by ..
Leather clutch bag in floral called Sligo. 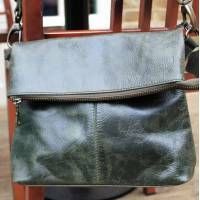 It's a totally su..
Satchel Single Charcoal Leather with waterproof lining and a..
Rucksack made of canvas and leather measuring 31 by 11cms, t..
Our Perpetua is a reviewed classic. 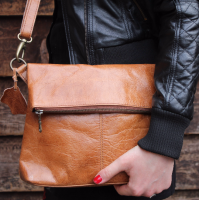 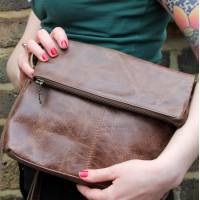 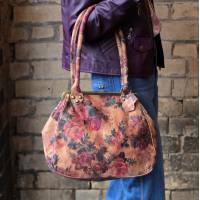 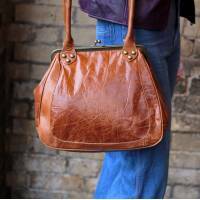 Its long-rolled handles ..
Mini Amelie measures 25x25 with flap down and the flap measu..
Mini Amelie flapover messenger bag in dark brown distressed ..
Mini Amelie foldover tan leather bag measures 25x25 with fla..